Netflix made the announcement via BoJack’s official Twitter account. 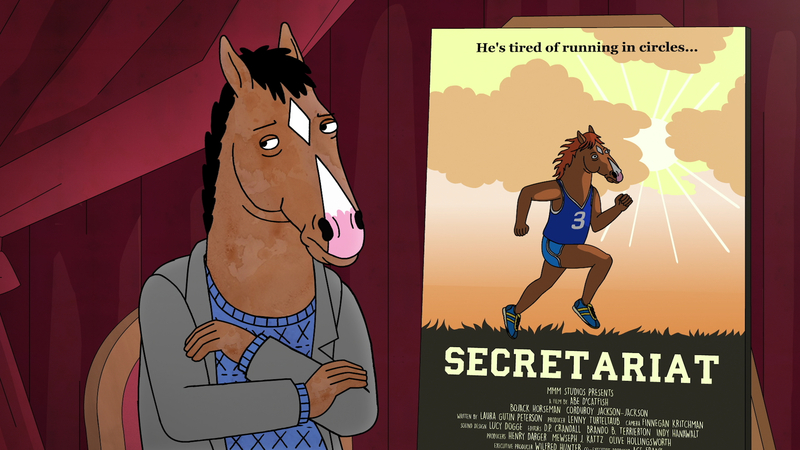 The series follows the life of egomaniacal, heavy-drinking, depressive washed-up actor and talking horse, BoJack Horseman (voiced by Will Arnett), who rose to fame by starring in a ’90s sitcom called Horsin’ Around. The show takes place in a fictionalized version of Los Angeles (also referred to as Hollywoo, after the first season). BoJack is joined by his feline friend/former agent, Princess Carolyn (voiced by Amy Sedaris), his human sidekick Todd Chavez (voiced by Aaron Paul), human ghostwriter of BoJack’s autobiography, Diana Nguyen (voiced by Alison Brie) and BoJack’s canine frenemy, Mr. Peanutbutter (voiced by Paul F. Tompkins). Seasons 1-4 of BoJack Horseman are available now with Season 5 to officially arrive on September 14th.